In his speech to the Financial Services Forum dinner in December Nigel Gilbert the outgoing Chief Marketing Officer of LloydsTSB talked about the role of marketing and the consumer in banking. He also talked about an initiative that LloydsTSB ran last year called “A Crocodile for Billy”. This is a book / ebook about saving and spending for parents to use with young kids. His themes about the role of marketing and brands in financial services echo my own thoughts around the rights and responsibilities of marketing departments. I outlined some of these in my Battle of the Big Thinking presentation: Escaping The Matrix. Undoubtedly there is a massive need for more human understanding in business with its overfocus with quantitative analysis and comfort with people who are technically gifted but less comfortable with vision and working in our very human and emotional world. When operating well marketing should be the “heart of an organisation” – and I mean that not to indicate its position but to capture its unique added value. Businesses and brands, the great ones anyway, are full of heart, vision, ambition and human understanding. They are often driven by a passionate leader who captures the heads and hearts of employees and customers alike. Marketing and the brands they develop have the ability to inspire and energise even when a charismatic founder or CEO isn’t available. And there is something here that is at the core of why our big banks are not great businesses or brands. They have little heart, vision, ambition or human understanding. They can’t understand why people are appalled at billions sitting in bonus pools after the past two years of bailouts. They don’t have a vision for the role that banks and financial institutions need to play in our society. A senior executive at LloydsTSB recently said to me that their vision was “to become the UKs most recommended bank”. If that is the extent of their collective vision for a business that has been given near monopoly share levels and billions in state money (your money, my money) then my vote would be to break it up – they don’t deserve to exist with that little ambition or understanding of their responsibilities in society. And Crocodile of Billy is a neat example of the practical impact of this lack of vision and “head beneath the parapet” attitude that most of our banks are operating in currently. Its cute, I like it, I’d like to get a copy (although I can’t see how? You can’t buy it anywhere? ), and I’d like to read it to Luca and Daniel. There is no doubt that we need desperately need more financial education in our society. 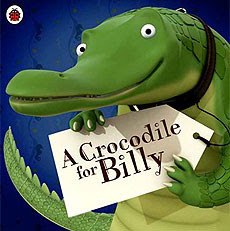 But Crocodile for Billy is a tiny, albeit positive, effort in this regard. Why doesn’t the financial services industry realise that they have a massive responsibility and the resources to fill this gap? They could work together, invest the hundreds of millions needed and ensure that every child gets the information they need to make informed decisions in their financial choices. That would be a vision. That would be added value. That could be transformative to our view of financial services brands. Until they realise that we demand more as their customers and as members of our society, especially in the light of the last two years, financial brands will remain in the gutter, actively distrusted and disliked. Get involved in the debate – comment below. Do you work for LloydsTSB or another UK bank – are you brave enough to share your view? Happy New Year! I hope 2010 brings you all that you need. Posted on January 6, 2010 November 28, 2012 Author Justin BasiniCategories Advertising, Brand, Marketing, Sustainability, TrustTags banking crisis, banks, bonuses, communications, consumer, customer experience, financial services, LloydsTSB, Nigel Gilbert, trends9 Comments on A CROCODILE FOR BILLY? As many of my friends and family will attest I am a dedicated supporter and active user of Twitter. If I needed any more excuses to use my Blackberry, Twitter has given them to me. Lots has been written about the Twitter phenomenon but I wanted to share why I think Twitter has a really good chance to be a communication channel of long-standing and power. 1. Twitter is the first “feed” of interesting Internet information and opinion that can be accessed with no technical expertise at all. Since using Twitter I am now learning and consuming much more insight from the web. 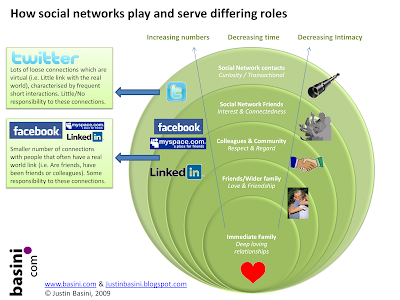 Blogs, articles, comments, stats have all opened up to me since using Twitter. Following a Guy Kawasaki (@guykawasaki) or a Mashable (@mashable) (even if you follow no one else) is a brilliant source of some of the best the web can offer. Add in a Jonty Fisher (@jontyfisher) or a Dan Schawbel (@danschawbel) and you are building a pretty powerful set of insight about marketing and branding (my field). I don’t think I am a Luddite but I could never really get RSS feeds and such like to really work – Twitter users aggregate, edit, filter and share better than any technology. 2. Twitter is entirely non-hierarchical and democratic. Everyone is open to everyone (you can limit updates to only those that you select but not many people do this). I’ve had tweets replied to from Lily Allen (@lilyroseallen) and even got a reply from the great Guy Kawasaki (@guykawasaki). To give you an example last week I was watching BBC Breakfast News watching a really good segment by Ray Snoddy (@raymondsnoddy) on media and advertising. I idly (and somewhat cheekily) tweeted that Ray looked like he was wearing a wig. Within a few hours the tweet had reached him and I had a good humoured reply from the great man. This form of communication is powerful – I don’t need to search for his email address – or write him a letter – I am in touch with him because of the network in which we particpate. This democratisation of communication can be a powerful way to open up those in power whatever field they are in. 3. Twitter can give you insight into the lives of others. For example I follow my local MP and now the Minister for Transport Sadiq Khan (@sadiqkhan). Sadiq is a great example of a politician that is using Twitter to inform the man on the street (i.e. me) about what he is doing and the things he thinks are important. Throughout all this furore over MPs expenses and trust I’ve been really heartened to see Sadiq tweeting about what he thinks and sharing what he is doing. He works really hard (and seemingly all the time at this event or another) and I’m glad that I know this – it builds my trust in him. 4. Twitter can give many moments of pleasure connecting with real world friends across the world. When I first heard of Twitter I thought that knowing that Jon was eating a sandwich in Montreal would be an irrelevance and a waste of time. But actually now that I use Twitter one of the most powerful emotional benefits is knowing that my friend Tobias (@implant_direct) is enjoying a party in Zurich or Tom Farrand (@tomfarrand) has just had a great time kite surfing on the South Coast. These are vicarious moments of joy through Twitter that I wouldn’t have otherwise. 5. Twitter is take it or leave it communication. Lastly one of best things about Twitter, different from almost all other modes of communication, is that Twitter can be picked up or put down at will. A tweet, a direct message or a reply doesn’t need to be responded to instantaneously but it can be. That’s one of the best things about the channel – its so flexible. If you don’t want to tweet for a few days no one is going to accuse you of ignoring their voicemail, email or letter. Twitter adds a lot to my life and I think it is a powerful new form of communication that has a lot of potential. So if you are a confirmed member of the Twit-sphere good for you; and if you are thinking of taking the plunge go for it. As always please feel free to comment, share, RT, agree or disagree. Also follow me on twitter!